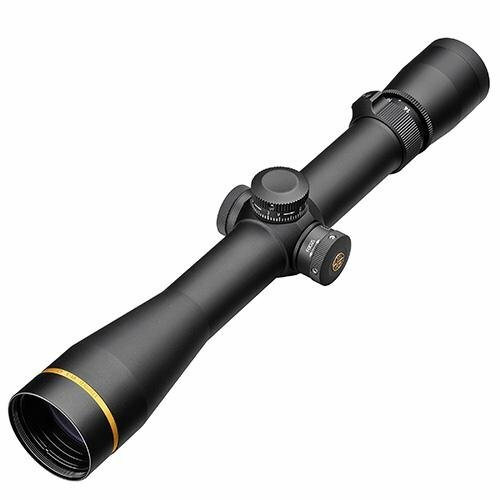 Construction: 6061-T6 Aircraft quality aluminum; finish: matte; color: black; lens: 14.2x; other info: reticle: duplex. Twilight max light management system. Redesigned power selector. Side focus. Effective light transmission, glare reduction, and contrast/resolution. Exterior lens treated with diamondcoat 2. Lockable fast-focus eyepiece. Twin bias spring erector system. Edge blackened lenses. 2nd Gen. Argon/krypton waterproofing.Leupold scope cover. One inch maintube. Boxed.Can not ship international.